Tree Nuts are one of the most potent allergenic foods in proportion to the amount that can set off a severe reaction. Keeping your facility free from contamination by this common allergen is very important if you are complying with FDA labeling guidelines, especially given the rise in recalls due to allergen contamination. One important distinction: while peanut is a common allergenic, it is not a tree nut. We’re talking about Peanuts separately, for that very reason. 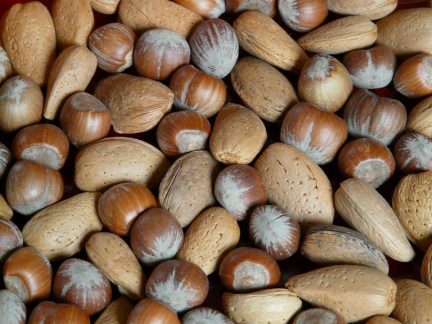 Tree nut allergies are some of the most common among both adults and children, and reactions can be severe and even life-threatening. In a 2001 article published in Journal of Allergy and Clinical Immunology, fatal food reactions in the United States attributable to Tree Nuts accounted for 31% of all allergy-deaths, and all of the fatalities in patients under six years of age. Tree nuts include, but are not limited to, almonds, Brazil nuts, cashews, chestnuts, filberts/hazelnuts, macadamia nuts, pecans, pistachios, pine nuts, and walnuts. What is the root cause of a tree nut allergy? The proteins responsible for allergic reactions to Tree nuts are diverse and include the seed storage proteins (vicilins, legumins, albumins), plant defense related proteins and profilins. It’s estimated that Tree Nut allergy in the United States affects about 1.1% of the general population. It is likely that Tree Nut allergies span a lifetime. Less than 10% of children outgrow it, compared to 20% outgrowing a peanut allergy. There is significant cross-reactivity to all types of tree nuts, so allergy to one type of nut makes it likely that others will also cause a reaction. As with any other allergy, there is no cure and the only recommendation is avoidance. Tree Nut proteins may be found in a surprisingly large number of ingredients, including cereals, flavorings and marinades, as well as barbeque and other sauces. Some alcoholic beverages may contain nut flavoring or are made from nuts. Since these beverages are not currently regulated by FALCPA, contact the manufacturer to determine the safety of any alcohol used as an ingredient. Tree nuts are a hard-shelled fruit and should not to be confused or grouped together with peanut, which is a legume, or seeds, such as sunflower or sesame. What are typical symptoms of a Tree Nut allergy? AlerTox Sticks Hazelnut detects one of the main hazelnut allergens: corylin (legumin-like 11S seed storage protein, allergen Cor a 9). AlerTox Sticks Hazelnut does NOT detect the antigens of cereals, legumes and other nuts, including walnut, pecan, peanut, almond, cashew, macadamia, Brazil nut and coconut. Stay safe and gluten free this Labor Day!